Wildfire is a natural disturbance with epic potential to drastically alter watershed hydrologic condition. Basins with high-burn severity, especially those with steep previously forested terrain, have flashier hydrographs and can produce peak-flows orders of magnitude greater than pre-fire conditions. This is due to fundamental changes in the hydrology of burnt watersheds, especially in the short term (1-3 years). Consumption of the canopy and forest-floor organic horizon that formerly intercepted precipitation, moderated infiltration, and protected mineral soil, results in decreased evapotranspiration and infiltration, and increased runoff. Further, newly exposed soil surfaces are subject to rain-drop erosion, which may be exacerbated by fire induced soil-water repellency. Though the hydrologic impacts of high-severity wildfire have been well documented in the scientific literature, the socio-political ramifications of a latent, continuous, and highly unpredictable disturbance regime (i.e. post-fire flooding and sedimentation) has not been addressed. Fires are increasing in size, frequency, and severity. Simultaneously, development continues in the wildland-urban interface and the number of people living in or visiting forest areas is growing. Understanding the post-fire hydrologic response of watersheds as observed on the Schultz Fire of 2010, is paramount for effective risk management and mitigation of post-fire hydrologic and geomorphic hazards. Equally important is educating communities that are at high-risk for post-fire flooding and sedimentation hazards. 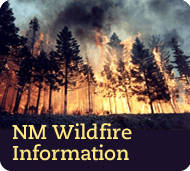 This presentation encompasses research on hydrologic and geomorphic impacts of past fires such as the Schultz Fire, a real-time perspective on recent post-fire hazards and mitigation (including the 2010 Schultz Fire and others) and identifies some high-risk areas where opportunity exists to educate and prepare the public for post-fire hazards before the flames. A recording of the webinar will be posted here soon after the 1/18/12.